Hi, my name is James and I’ve been with Music and Arts since June 2018. I have been playing and studying music for nearly 20 years. I’m a percussionist and an avid music theory enthusiast. I have played all manner of percussion instruments in many different settings from classical snare drum etudes and jazz/swing/big band drum set to marching band and drum corps drumlines and front ensembles to orchestral timpani and popular Japanese marimba solos. While I consider myself an all-rounder in the percussion world, my main love is the marimba and keyboard percussion in general; my senior thesis was on the Japanese solo stylings and influences on the marimba as a solo instrument if that is any indication on my love for the instrument. I graduated from Eastern Connecticut State University with a Bachelor’s in Music Performance with a focus in Percussion Performance in May 2018 after studying music in multiple universities for 7 years. 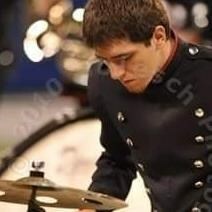 I’m always interested in learning new things about percussion and music related things and have sought training in various music topics such as music education, theory, performance, therapy, and a host of others. I play on a Marimba One 5-octave rosewood marimba and Pacific Drums Percussion (PDP) drum set. I’ve played on and with tons of brands and some things you can’t go wrong with are Vic Firth sticks/mallets, Remo or Evans heads, or Pearl hardware. Come on in and see me with any and all percussion questions and I’ll be more than happy to help you out!